Brown sugar crystals are made from granulated sugar with added molasses. Brown sugar is granulated sugar with added molasses. The sugar itself, before molasses is added, can come from the crystallization of sugar cane juice. This is where it gets most of its flavor. The added molasses helps give it additional color as well as an added flavor different from white sugar. This sugar is finer, softer, and moister than granulated sugar. When brown sugar is used in place of granulated white sugar, a small amount of baking soda is needed to help neutralize the acidity that comes from the molasses. Acids can interfere in the process of carmelization of sugar, so neutralization of those acids will improve crust color. 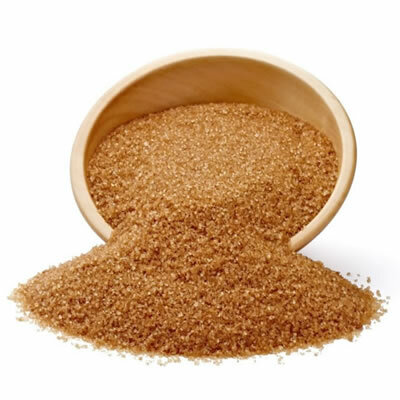 Light brown sugar—final product contains about 3.5% of molasses; ideal for making cookies, butterscotch, and other products where a full molasses flavor and dark color are not important or ideal. Dark brown sugar—final product contains about 6.5% of molasses; ideal for more full-flavored products such as gingerbread where the color and flavor are more rich due in part to the extra molasses.